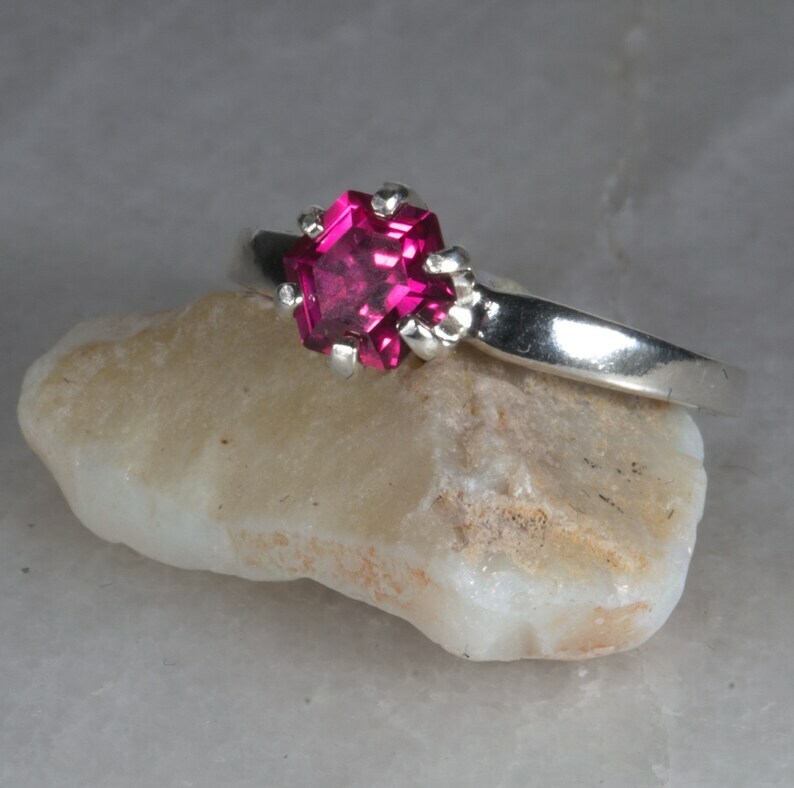 This ring is sterling sliver and ruby ring. The ruby is a unique 6mm hexagon stone. 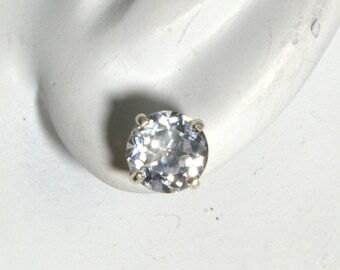 The simple design of the ring allows the stone to speak for itself, and the the stone is light and bright enough to have good color even in low light settings. The simple design is also designed to be sturdy through everyday wear and tear. This ruby is lab grown. 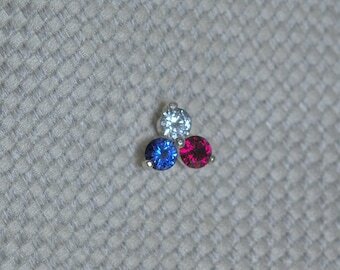 Lab grown rubies are made of the same elements and crystalline structures as you would find if you were to dig them out of a mountainside. 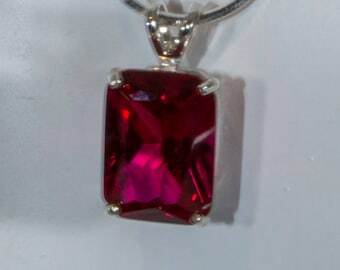 You will find few to no faults in a lab grown ruby. 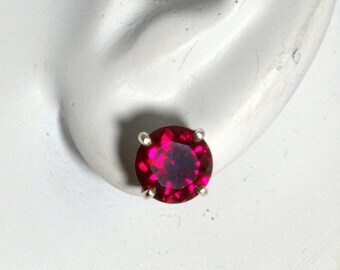 9mm ruby in sterling ring. 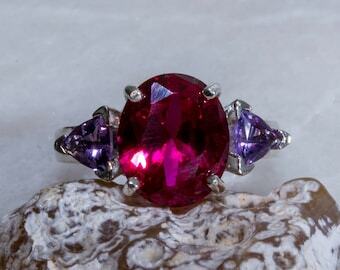 Amethyst Accented Ruby and Sterling Ring. Glass cutter ruby and sterling ring.